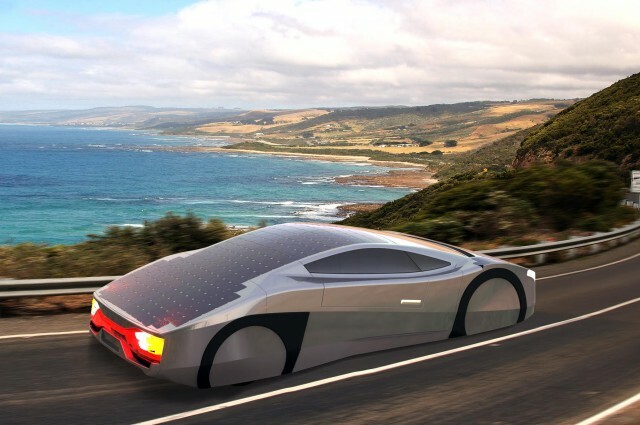 Can a road-legal car be powered by the Sun alone? One company thinks so, and they’re planning to unveil a scaled-down version of their proposal later this year. Called “The Immortus,” the two-person vehicle is the work of EVX Ventures, an electric vehicle technology startup based in Melbourne, Australia. The car is decked out in solar panels, covering up to eight square meters (86 square feet), and also has a lithium battery to store energy, between five and 10 kilowatt-hours. So light is the car though, 500 kilograms (1,100 pounds) when empty and 700 kilograms (1,550 pounds) when fully laden, it is able to run on just solar power alone. This is all possible thanks to the low mass-to-power ratio of the car. It is also extremely aerodynamic while still looking “compelling and stylish,” EVX co-founder and CEO Barry Nguyen said to IFLScience. The car also doesn’t use normal road tires, but rather tires specially designed for so-called “solar racers” – cars that are powered by the Sun. Using a combination of battery and solar power, the car will apparently be capable of reaching up to 160 kilometers (100 miles) per hour. On solar power alone, it can reach up to 80 kilometers (50 miles) per hour. And perhaps most interestingly, Nguyen said that the car would be able to run perpetually on just solar power, giving it an infinite range, in theory, so long as it didn’t exceed 60 kilometers (37 miles) per hour and the Sun was continuously shining. Still, that's pretty impressive. However, Nguyen stressed that the idea of the technology was to use solar cells in tandem with existing vehicles. A working prototype could be built by late 2016. EVX Ventures. EVX plans to unveil a one-quarter scaled version of their car at the SEMA Show 2015 at the Las Vegas Convention Center in November. A leading electric vehicle research and development group at the Swinburne University of Technology in Melbourne is also involved in the project. When it is eventually released, Nguyen said the car is expected to retail for about $370,000 (£240,000), and sales of more than 100 are not expected. The car will be road legal “under individually constructed vehicle regulations” in Australia and the U.S., according to Nguyen. The team plans to test a full-scale version of the car by the end of 2016, providing they can raise enough money for a working prototype.